Michigan earned its third consecutive blowout win to improve to 9-3, but don’t say it wasn’t impressive. Behind high-flying dunks, another triple-double and a blizzard of 3-pointers, the Michigan basketball team froze the Youngstown State Penguins, 105-46. MVP: Derrick Walton Jr.: Aubrey Dawkins was an early contender thanks to a one-handed, and-one alley-oop and a 360-degree dunk toward the end of the first half, but Walton’s overall game stole the show. The junior guard earned just the fifth triple-double in school history with 10 points, 11 rebounds and 13 assists. Though Caris LeVert stole some of Walton’s thunder with the program’s fourth triple-double on Tuesday night, Walton’s was just as impressive. 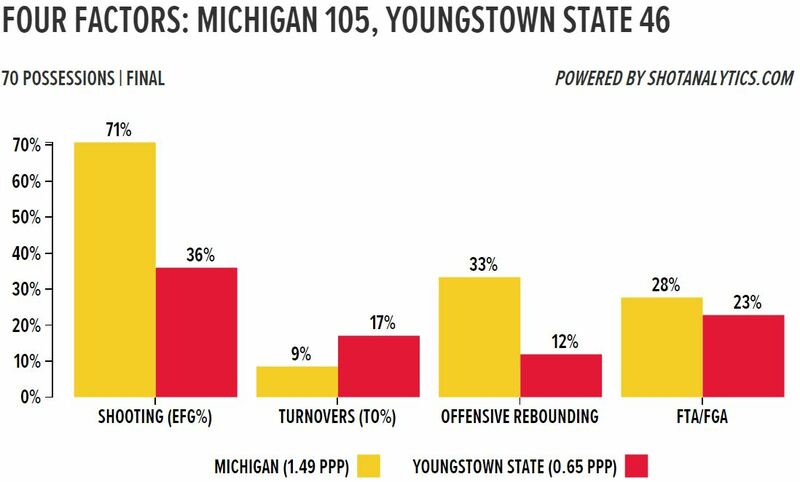 The point guard carved up Youngstown State’s zone defense, controlling the Wolverines’ offense no matter what rotations and personnel were on the court. It was over when… Committing to a zone defense against one of the nation’s best offenses, Youngstown State fell in an 26-7 hole it could never come out of. You might say the Penguins slid down a slippery slope. Michigan led by 33 points at half time and busted off another 20-1 run early in the second half to cruise to a 59-point win. Key Stat: Though Michigan has not been bad at sharing the ball this season — averaging 15 assists to 10.8 turnovers per game thus far — the passing game was on full display Saturday. 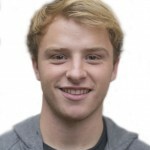 the Wolverines ended the game with a season-high 29 assists on 40 made field goals and eight players ended up with eight points or more, obliterating any hope the Penguins had at slowing the Michigan offense. Michigan’s defense held the Penguins to just .65 points per possession and much of its offensive success was driven by clean defensive stops. The Wolverines outscored Youngstown State 12-0 in fast break points and 19-4 in points off of turnovers. Michigan guards routinely took the ball off the glass before pushing the pace for easy offense on the other end.